Rimma Zaitovna is one of our veteran top guides in Kazakhstan with 30 years of experience with Silk Road tours around Kazakhstan. She is an Expert guide in art, history, religion and falconry topics in the country . She was born in Almaty, one of the most beautiful cities of Kazakhstan. She studied both in Kazakhstan and Russia and got the degree in languages and guiding. Since 1980s she has been working with travelers from all walks of life from around the world in ancient cities of the Silk Road. 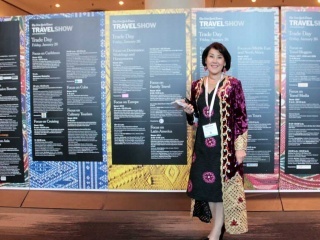 She is hand picked to work with many VIP travelers, official delegations, of the world. She speaks Kazakh, Russian and English languages. Her hobby is reading, cooking and mentoring young people. If you are an educator and would like to visit the schools or universities and meet with professors and students then Rimma is your contact. She can help you to build the bridge between you and locals.